Consider this: 9.4% of the United States population has some form of diabetes, That's 30.3 million people, making diabetes a common condition among Americans. What isn’t common is the devastating effect it can have on your health if it’s not managed correctly. 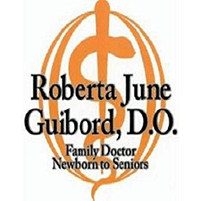 At her family practice in Perrysburg, Ohio, Dr. Roberta June Guibord has extensive experience helping her patients control the disease, allowing them to lead normal, active lives. To learn more about managing your diabetes, call or book an appointment online. Diabetes is a catchall term for a group of diseases that interferes with your body’s ability to regulate blood sugar. Sufficiently understanding the condition requires stepping back and examining the importance of proper blood sugar levels. Blood sugar refers to the amount of glucose your blood contains. Glucose is the primary source of energy for almost every part of your body, from your brain to your muscles. The glucose in your bloodstream is either derived from the food you eat or produced by your liver, and insulin -- which is secreted by your pancreas -- regulates it. In all of these instances, the glucose level in your blood isn’t regulated correctly, allowing it to spike and plummet. The causes of diabetes largely depend on which type of diabetes you have. With type 1 diabetes, there’s no known cause, but it’s believed that genetics play a role. With type 2 diabetes, lifestyle factors such as obesity play a large role in its development. Lastly, gestational diabetes typically only lasts for the duration of your pregnancy and is caused by increased hormones. If you’re experiencing any of these symptoms with regularity, have Dr. Guibord check for diabetes. There’s no magic bullet for diabetes, so treatment consists of managing the condition. It’s important to note that, left untreated, diabetes can lead to grave complications, such as heart disease and nerve damage, which makes regular visits to Dr. Guibord essential so she can monitor your health. To learn more about how Dr. Guibord can effectively manage your diabetes, call or book an appointment online.